Hey, all! I came up with this idea out of sheer necessity…both my electronic car key fobs have broken from the rest of the ring and so we have to fumble around to find it when unlocking the car doors, and risk leaving it inside the locked car, and not be able to get back in without setting the alarm on…leave it to me to just that! 😉 After looking at every store I could think of for a device to hold it in place on the ring (I swear I saw one somewhere…)…the lightbulb flashed on above my head, and I said, “Eureka! I will knit one!” Everyone at the car parts store then looked my way a little nervously…he he he! So, I figured if I was madly searching all over town to solve this dilemma, then maybe some of you might be doing the same…or maybe you’d just like some fibery goodness dangling from your key chain. 🙂 It does sort of look like an egg…could be Easter decorations for your pocket! 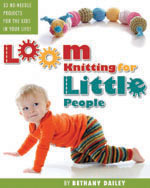 This entry was posted in Crafting, Free Loom Patterns, Knitting, Life, Loom Knitting, Looming Patterns, New Projects. Bookmark the permalink. How clever, Bethany! This little project is just the “ticket”. Thanks for sharing. Oh, I LOVE that idea….now, if I only had a car with keyless entry. LOL! Geez! I don’t go anywhere w/out hubby and the kids and he always drives (I am one of those people that become a nervous wreck when driving with any adults in the car….though I am fine with my siblings. Just no one else!) I sometimes wonder why I even have keys. LOL! Great idea though! And I can just imagine how nervous some people were who are looking for parts to fix their car would be thinking of a knitted item to fix their problem. LMBO! My fob gets banged wacked dropped and you name it countless times and always ends up by years end cracked split in half and broken. These little babies are the answer! Very clever! Neccessity is the mother of invention, you know. Wow Bethany! You are so creative! I’m hoping to eventually clear some sludge from my brain and give many of your projects ago! Such talent needs to be appreciated! What a darling idea! I love all of your creative projects! Am working on another little pegged-purse and hope to have it done soon, so I can start on the key fob! (These are going to make great little “gifts”!